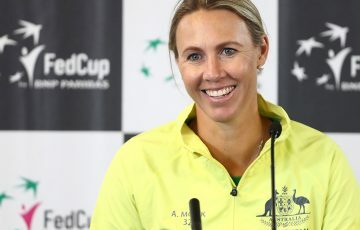 Thanasi Kokkinakis sealed an unassailable 2-0 lead for Australia over Canada after Daria Gavrilova dismantled Eugenie Bouchard in straight sets. Australia have won their Hopman Cup opener against Canada after Thanasi Kokkinakis and Daria Gavrilova won their singles matches. Gavrilova gave Australia the perfect start with a 6-1 6-4 demolition of Canadian Eugenie Bouchard in 78 minutes. 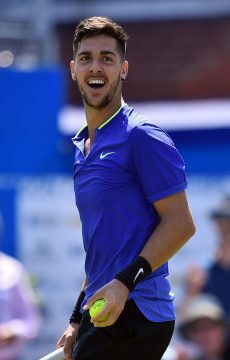 Kokkinakis then secured the tie win with a tough 6-4 3-6 6-3 win over world No.108 Vasek Pospisil. Kokkinakis made a bright start to his match by winning the first set, but the game was in the balance after Pospisil dug deep to win the second. The crucial moment of the third set came in the sixth game, when Pospisil saved three break points from 0-40 down, before Kokkinakis set up another break point and duly converted. Kokkinakis held serve from that point on to secure the win in one hour and 53 minutes. “I feel good. 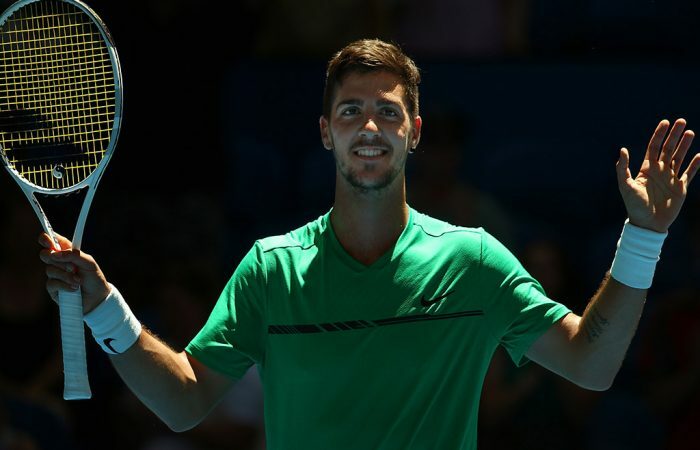 It’s the best I’ve felt in a while,” Kokkinakis said of his physical health. Earlier, Gavrilova came out with all guns blazing against an out-of-sorts Bouchard. Gavrilova wrapped up the first set in 29 minutes, and raced out to a 3-0 lead in the second before the wobbles set in. Bouchard broke back, and three double faults from Gavrilova in the sixth game opened the door for a comeback. But Gavrilova steadied to win the game, and went on to wrap up the victory. “I was very happy with the start,” Gavrilova said. “I was very physical from the beginning. I told myself you’re going to be tough from the very first point, and I managed to do that pretty well. “I got a bit nervous in the end. The last couple of service games – they’re the ones I want to forget. Gavrilova has been working on her net game during the off-season, and was pleased with her early progress.